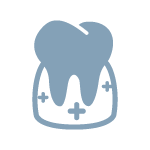 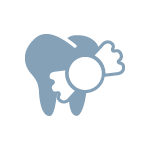 Prosthodontics (or Prosthetic Dentistry) is the branch of Dentistry dealing with diagnosis, treatment plan, rehabilitation and maintenance of oral functions, comfort, esthetics and health of patients with clinical conditions associated with one or more missing teeth and surrounding tissues. 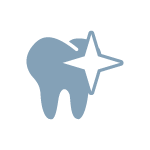 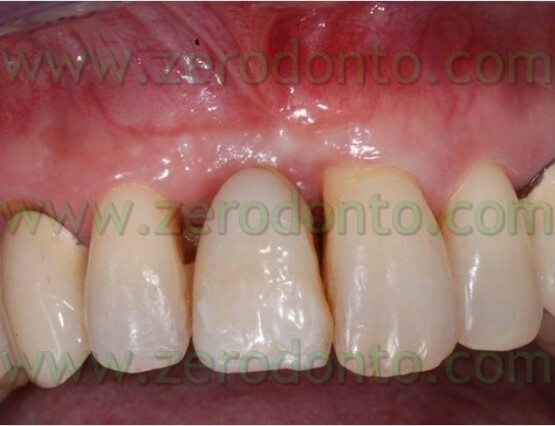 The rehabilitation is performed by means of fixed (veneers, crowns, bridges, inlays and onlays) or removable prostheses (dentures, metal/resin partial removable prostheses) supported by teeth, dental roots, osseointegrated implants or mucosal tissues covering maxillary and mandibular bones. 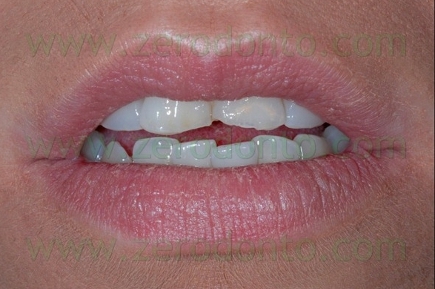 Case of a 26-year-old female patient presenting with the fracture of the incisal margins of both the maxillary central incisors. The patient reported to have already restored such teeth with composite restorations twice but in both occasions fractures occurred; moreover, she was not satisfied by the esthetic appearance of the composites. 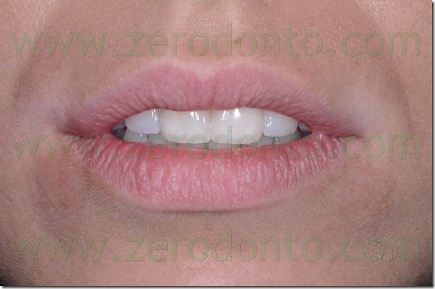 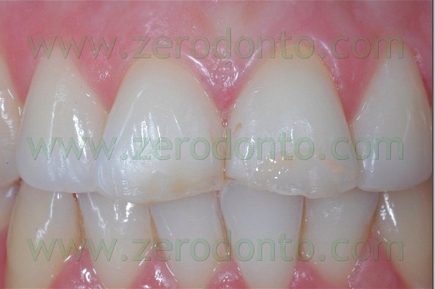 Consequently, 2 porcelain veneers were fabricated. 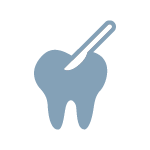 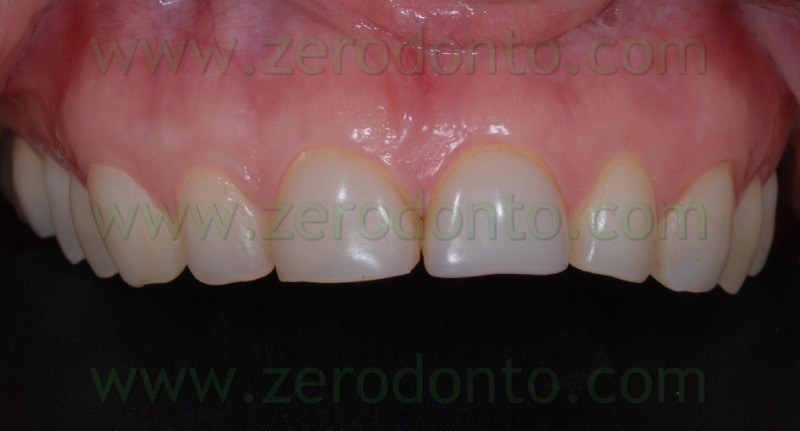 This kind of adhesive prosthesis allows to restore functions and esthetics with a conservative approach and minimally invasive tooth preparations of about 0.6 mm. 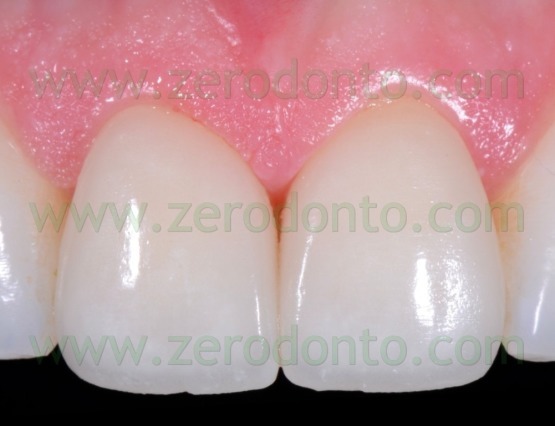 The use of such ceramic materials guarantees predictable and reliable results as well as high esthetics, avoiding discoloration over time, differently from composite restorations. A 28-year-old male patient presented with an esthetical discomfort due to 2 previous composite resin restorations on the maxillary central incisors; such restorations were fractured and structurally compromised. 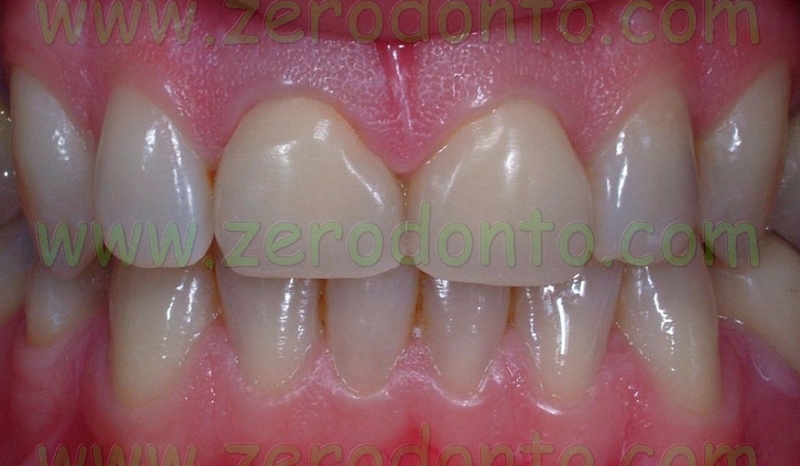 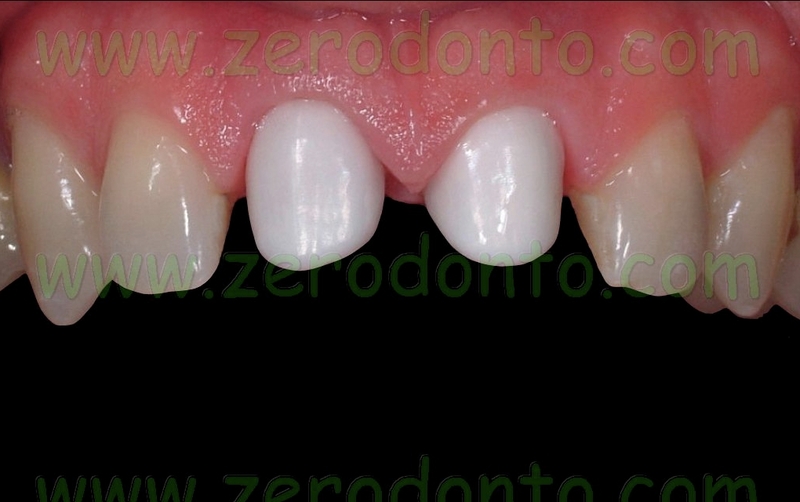 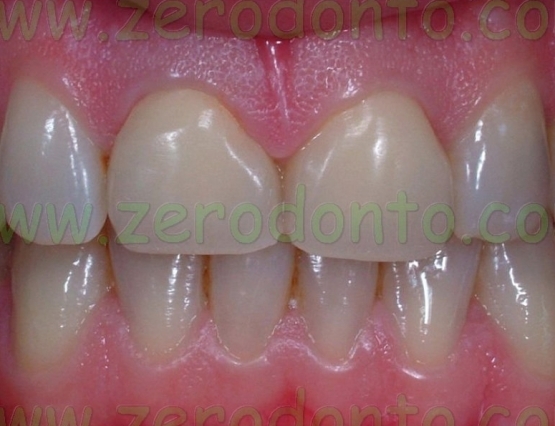 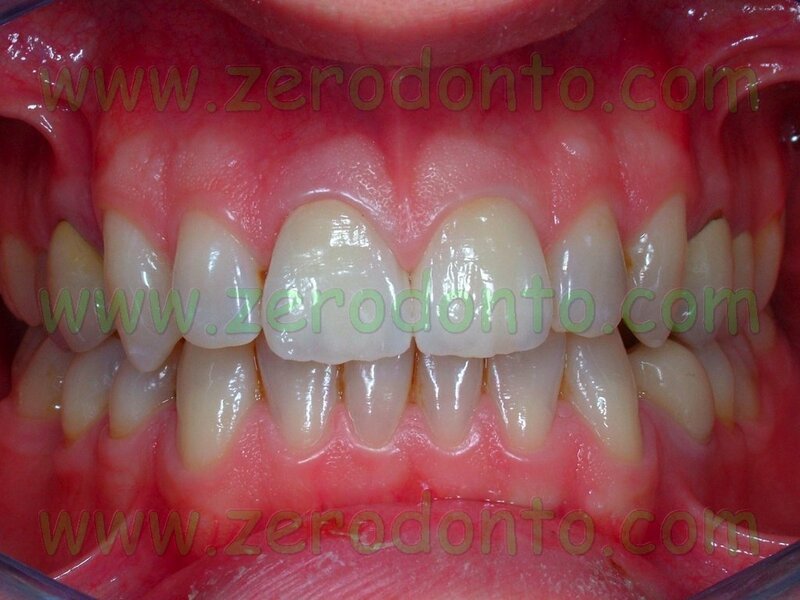 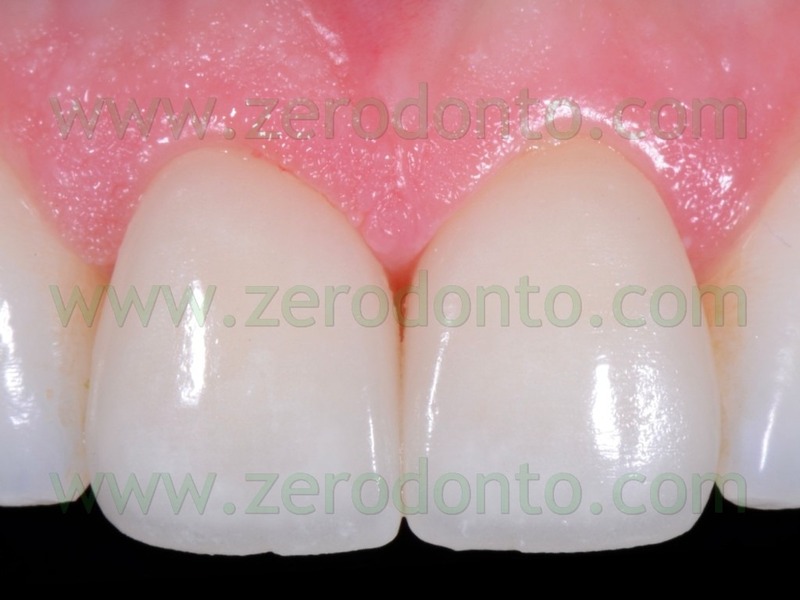 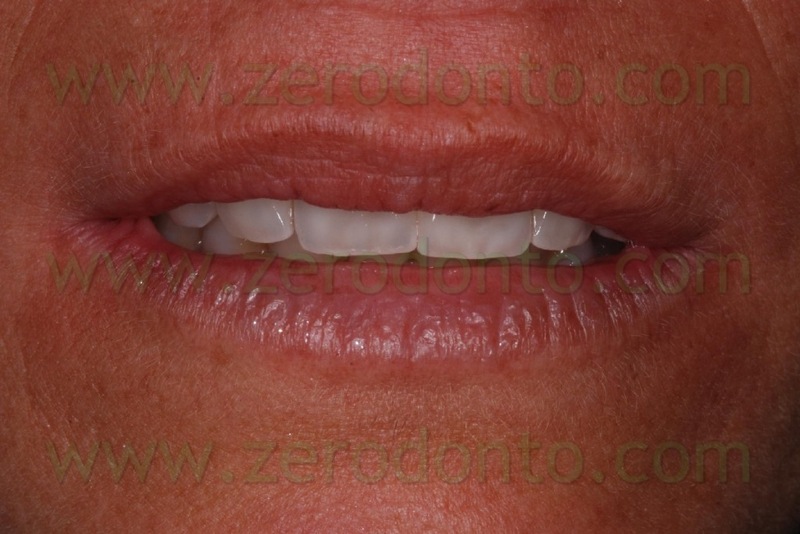 The previous restorations were substituted with 2 all-ceramic zirconia crowns produced by CAD-CAM techniques. 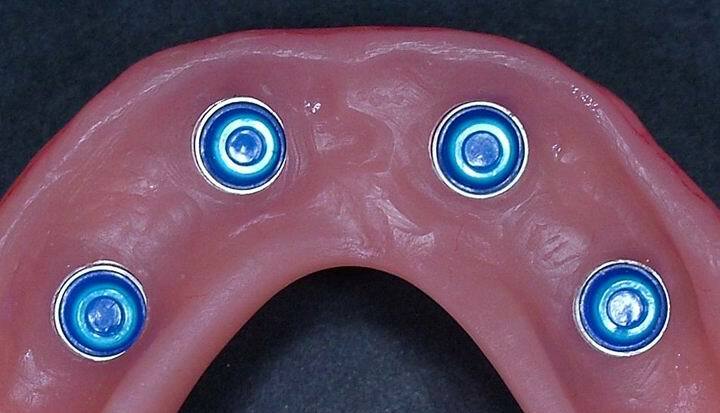 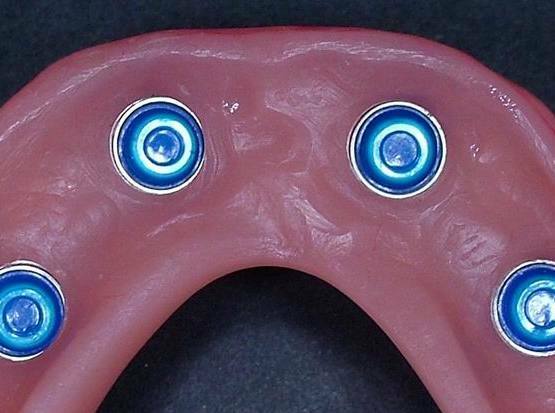 Such prostheses allow for an optimal integration within the soft tissues, differently from metal-ceramic crowns that, sometimes, could cause a grayish appearance of the gingival margins because of the presence of the metal frameworks. 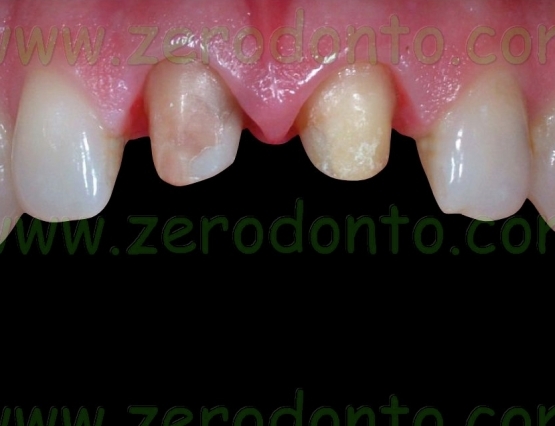 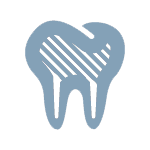 This occurrence is particularly frequent in cases of thin and scalloped gingival biotype. 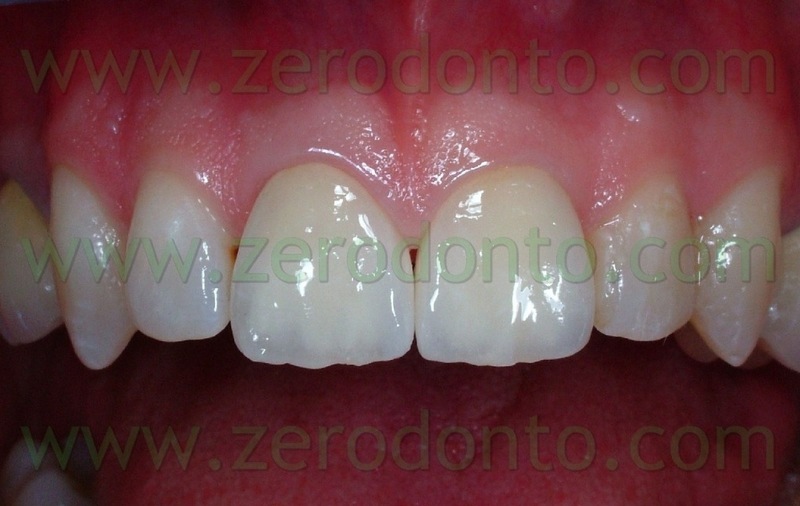 A 33-year-old female patient asked for a functional and esthetic improvement of the maxillary fron teeth, previously restored by means of unsatisfactory composite veneers. 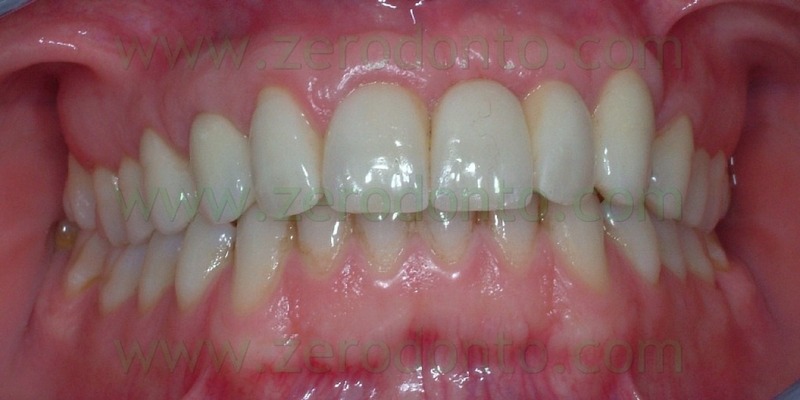 Severe opacification and incisal wear of the front teeth at both arches were noticed. 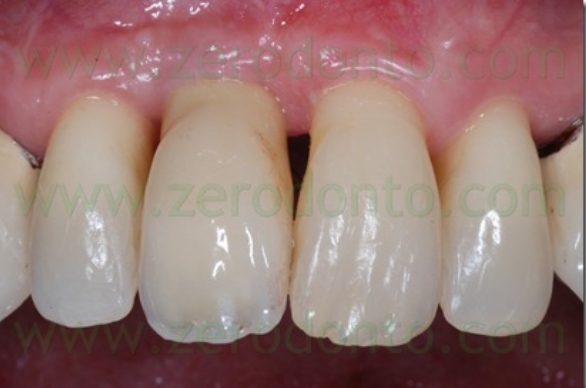 It was decided to fabricate 6 feldspathic porcelain veneers, from canine to canine, lengthening the incisal margins, in order to improve esthetics and restore correct incisal functions. 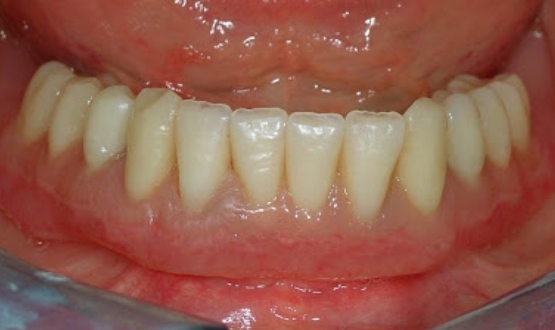 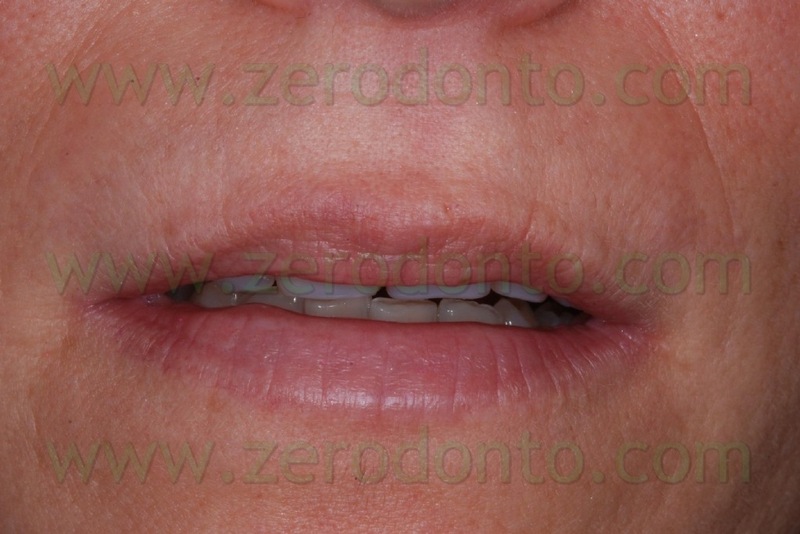 A 63-year-old female patient presented with full edentulism at the mandibular arch. 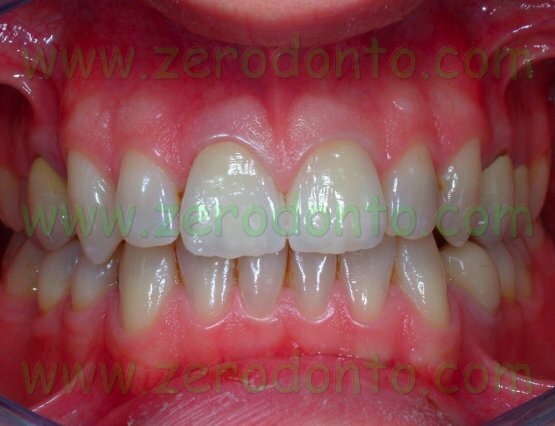 The patient wore a scarcely stable denture that had caused problems to alimentation, phonetics and psychological discomfort. 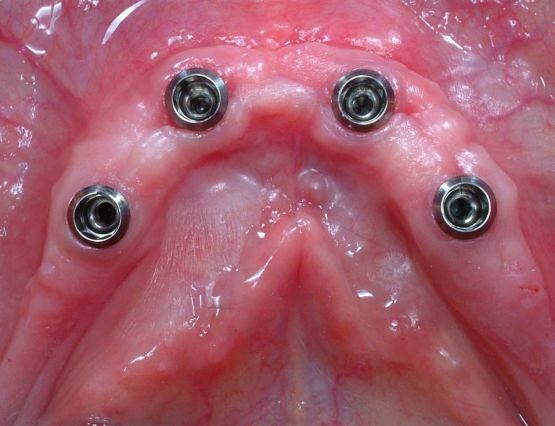 Thanks to the good bone quality and quantity in the interforaminal region, it was possible to insert 4 Straumann implants so as to support an overdenture. 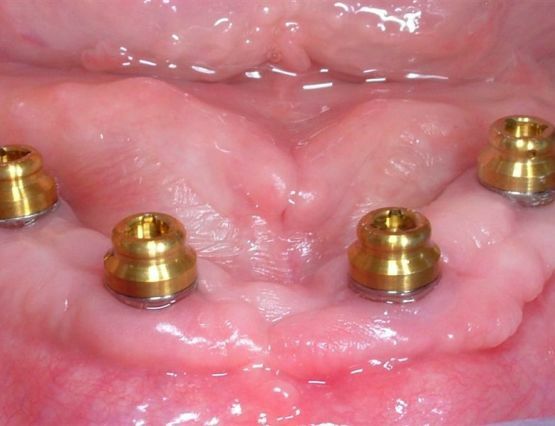 Such a solution ensures optimal stability and retention to the prosthesis, restoring good esthetics, mastication and phonetics, also in patients with limited economical possibilities. 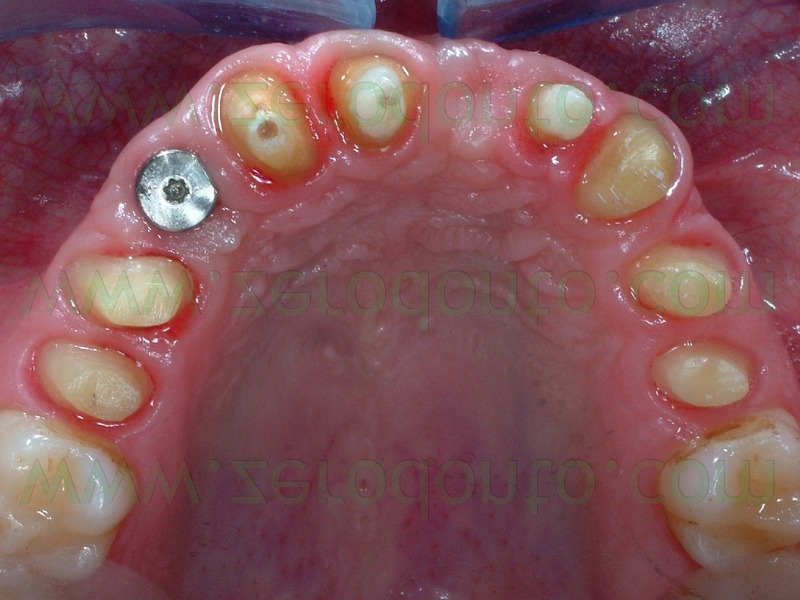 A 26-year-old male patient presented with a previously fabricated incongruous full-arch metal-ceramic fixed dental prosthesis at the maxillary arch. 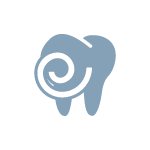 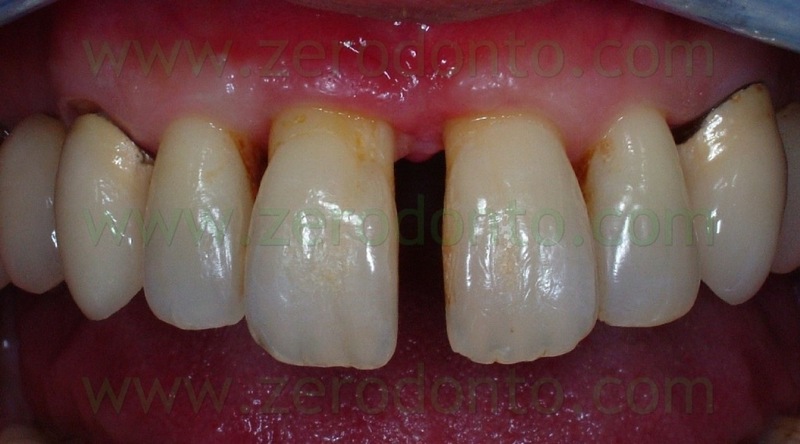 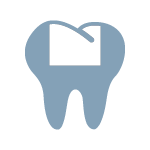 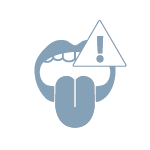 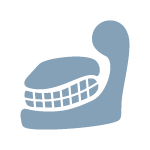 He was not satisfied with the esthetics of the restoration and was worried about his periodontal health, that had been worsened by the previous bridge. 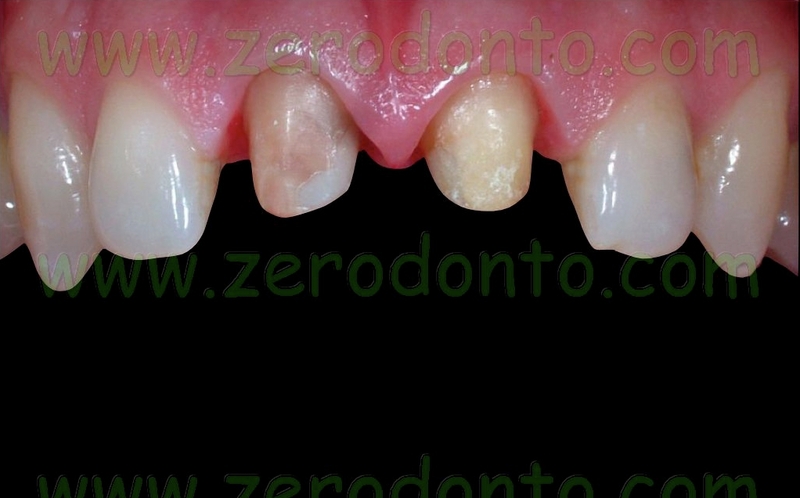 Moreover, the patient was affected by the agenesis of the left central incisor and the milk canine was still prssent in the arch.The case was treated by means of the following treatments: etiological periodontal therapy, endodontic retreatment of the incisors, extraction of the deciduous canine and contemporary insertion of a post-extractive implant, fabrication of a full-arch zirconia prosthesis. 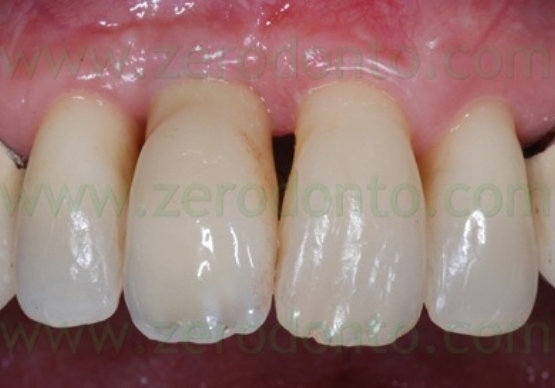 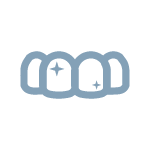 The use of zirconia crowns allowed to achieve an excellent esthetic result; moreover, zirconia is highly biocampatible and offers an optimal integration within the soft tissues. 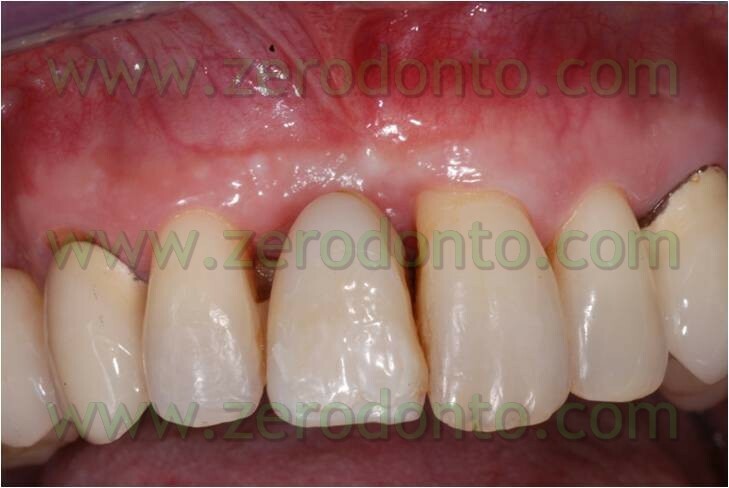 Case of a 51-year-old male patient with vertical fracture of the maxillary right central incisor and median diastema. 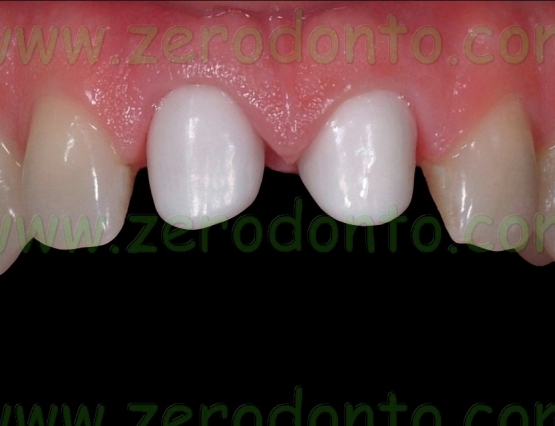 After extracting the fractured incisor, the diastema was closed by means of invisible bracketless lingual orthodontics in 12 weeks, so as to optimize the space for the implant-supported prosthesis, acheiving the best esthetics. 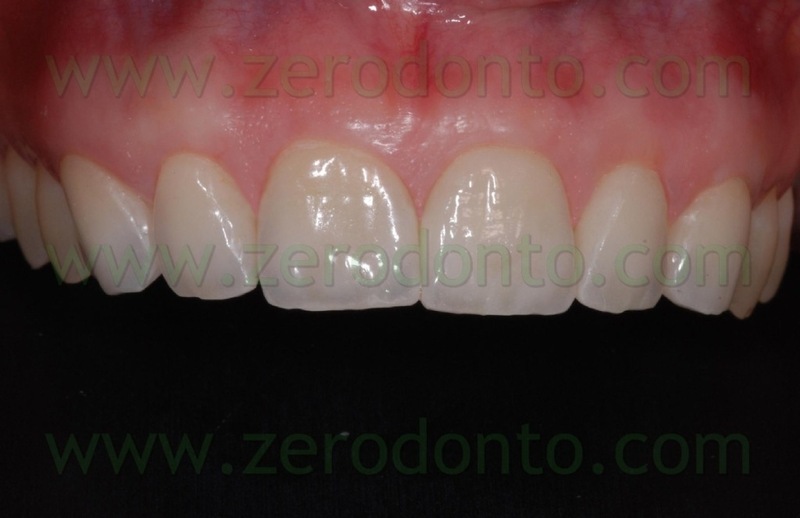 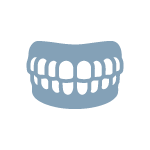 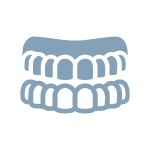 From the extracion to the finalization of the case, the patient wore a temporary crown splinted to the lingual orthodontic retainer, in order to mask the absence of the extracted tooth. 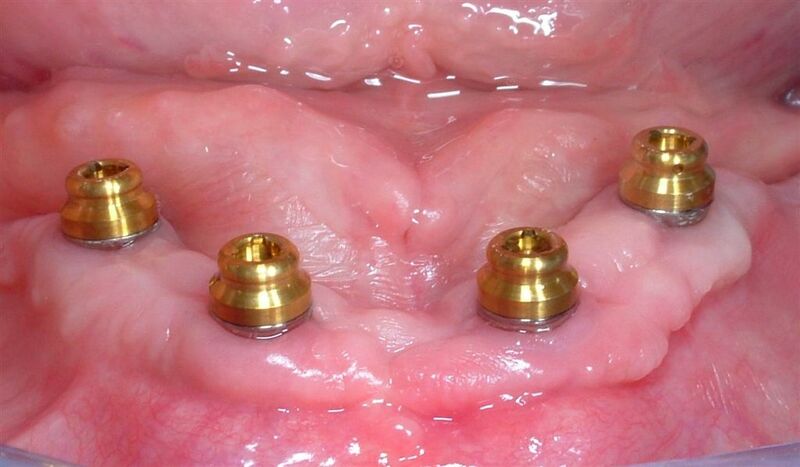 Then, an implant was placed performing bone regeneration at the same time. 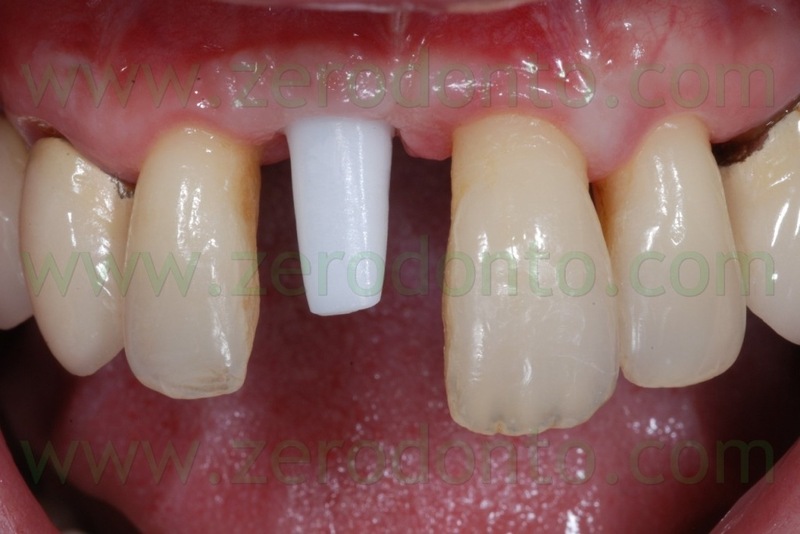 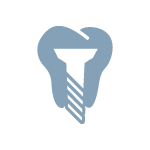 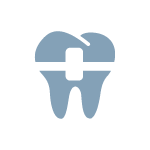 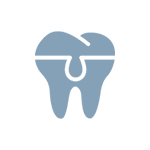 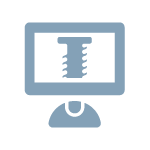 Once osseointegration was achieved, the prosthesis was fabricated by means of an abutment and a single crown made up of zirconia; this approach allowed to obtain optimal estethics with a full integration within the soft tissues.